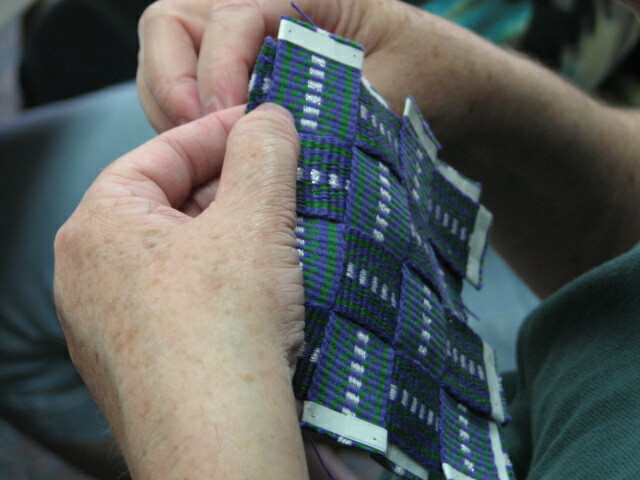 Weaving shuttles that is, and spinning wheels, knitting needles, crochet hooks, and kumihimo bobbins, too. Last weekend was the Florida Tropical Weaver’s Guild Annual Conference; a three and a half day unbelievably fun weekend filled with over 45 mini-workshops, laughing, chatting, eating, learning, and creating, not necessarily in that order. This was my first time attending the FTWG conference and boy will I be there next year. Are the registration forms ready yet? I taught my first inkle project class this weekend! “Beyond Belts and Bookmarks” was my inaugural class. 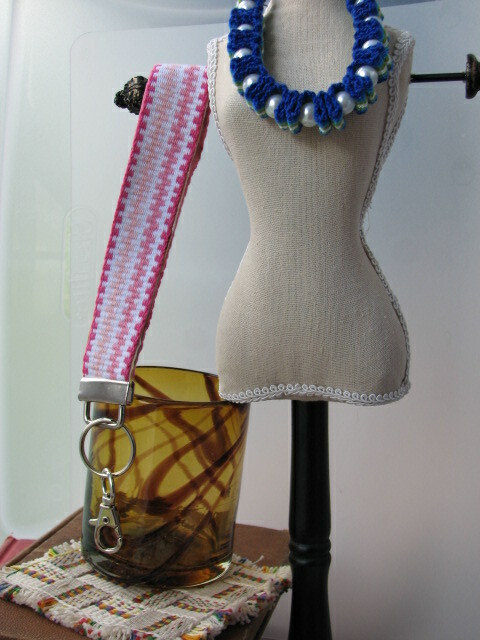 What do you do with an inkle band after you weave it other than turn it into a belt or a bookmark? Well, eight lovely ladies allowed me to show them how to make a necklace, wristlet keyfob, and a coaster out of inkle bands. Some brought their own bands and others used bands I provided. 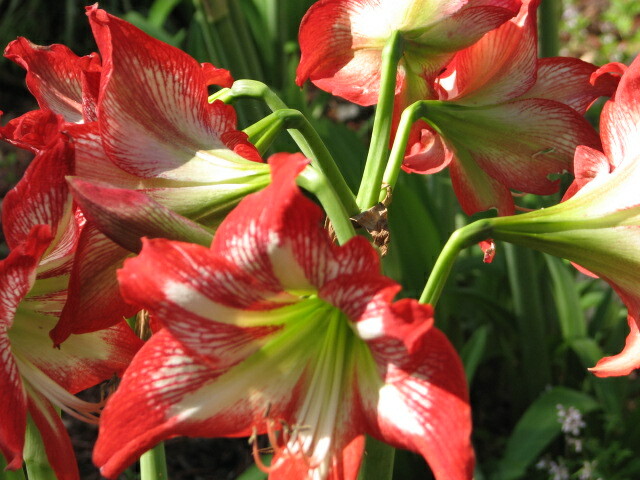 Everyone said they enjoyed the class, and I am so glad, because I had such a great time! Busy prepping for the class, I only got five hours of sleep in two nights. I was sooo tired, but the excitement and friendly students kept me awake – and lots of coffee. 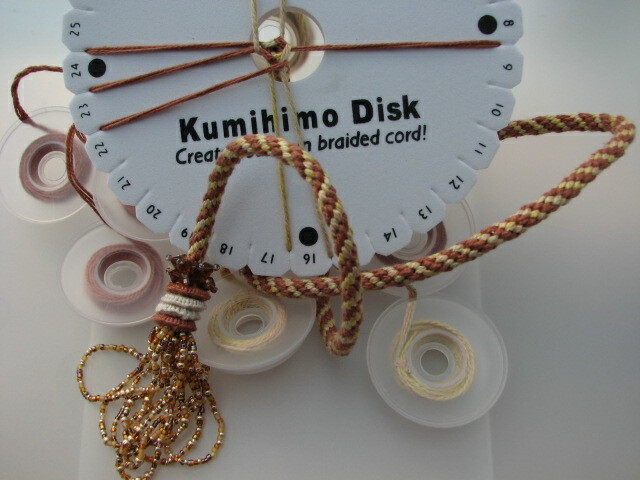 I also took a kumihimo class from the talented Jennifer Wiles . 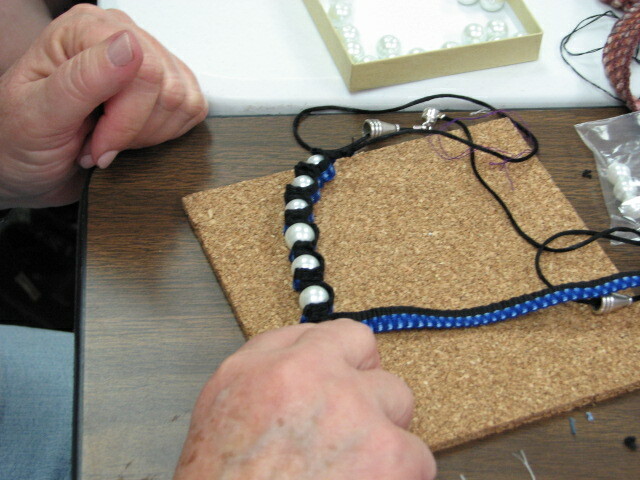 We learned how to make a kumihimo lariat with beaded tassels. 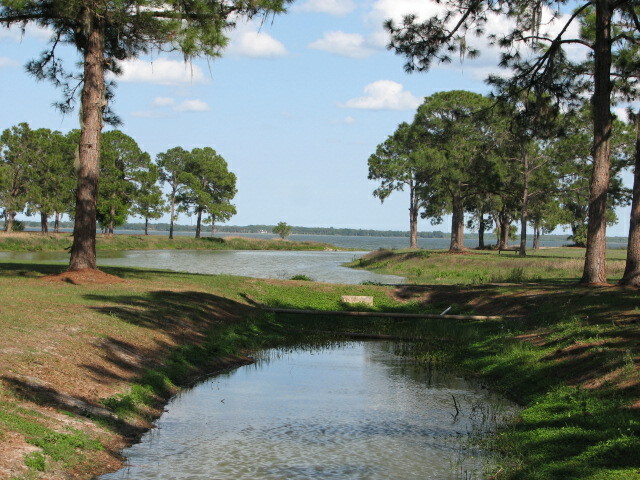 The conference was held at the beautiful Lake Yale Baptist Center, in Leesburg, FL. It is such an aesthetically inspiring place. 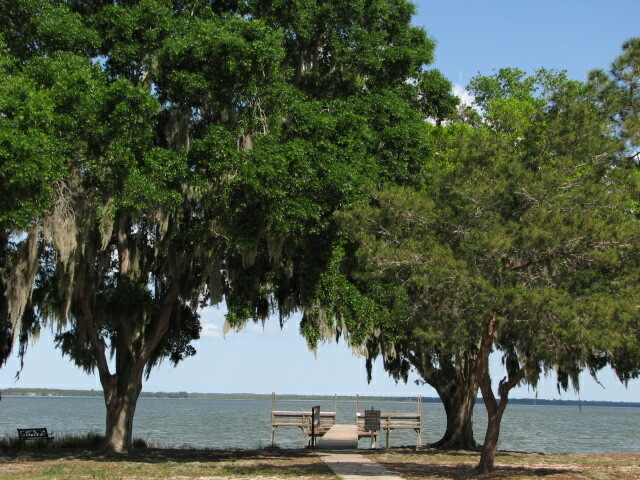 Spanish moss covered trees provide shady viewing spots to take in the lake. I met such wonderful people this weekend and got to spend more time with the ladies from my own guild; I was reminded again what a special community the weaving community is. I can’t wait until next year’s conference!